When you are given two lines, there are many ways to determine if and where they intersect. 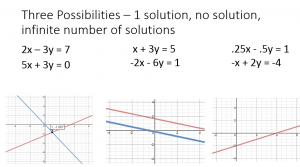 You can graph them, solve by substitution, solve by elimination, and use matrices to solve. 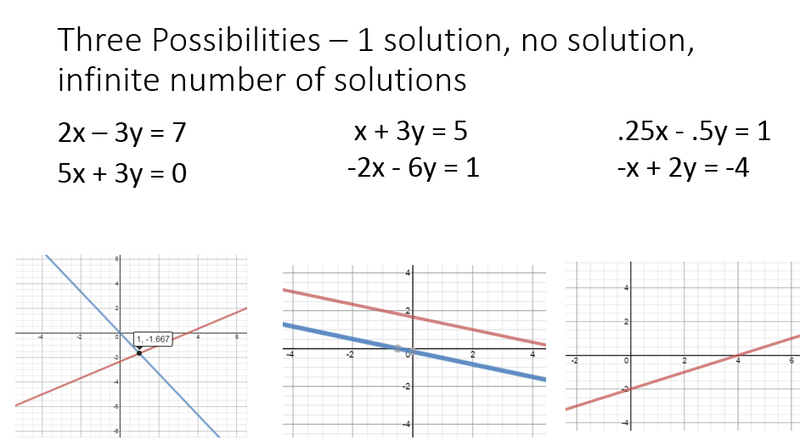 Solving systems by elimination is the focus of this video.